For a trouble-free move, Meathead Movers is the company for you! Our professionally trained student-athlete Azusa movers are ready to get you into your new home, wherever that may be. There are many reasons to move within California, but the state’s outdoor culture might be the best. If you’re moving to Azusa for a new job or to enjoy the scenery of the area, you’ll want to check out what our professional Azusa movers have to offer. From bicycling to golfing, Azusa gives you a place to enjoy the outdoors without having to head far from home. If you prefer to surround yourself with trees and lakes, just head north to the Angeles National Park for bird-watching and hiking. This “Canyon City” offers beautiful views of the mountains and has abundant trees and flowers. There is always something going around town. From music events in the park to a game of golf at Azusa Greens, you can relax and unwind in this small-town environment without worrying about the crowds and traffic of nearby Los Angeles. Families will also love visiting Memorial Park and Slauson Park which provide plenty of opportunities for family fun, you can even take a dip in the Slauson community pool. With a good school district and the local Azusa Pacific University, this city provides a wonderful place to make a home for you and your family. If you are considering making this city your new home, our Azusa movers will help you get settled in. Our Azusa movers offer support seven days a week through our complimentary moving concierge service for additional customer convenience. We also provide excellent incentive programs and stay active in the community. We make an effort to hire only the most respectable student-athletes and support them on their efforts to get an education. 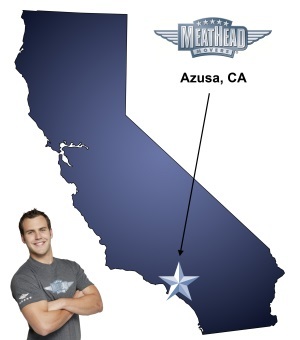 All our student-athlete movers attend Meathead University and live up to our smoke and drug-free standards, that way you know you are only dealing with the best movers in the industry. For long-distance moves, we offer fixed pricing and use the same movers at both ends to ensure a high-quality and reliable move. We also offer our Princess Packers service, which consists of professionally trained college students who carefully pack away even your most fragile items. From packing, storage, on-site relocations, we make moving easy for you and your family. Contact our Azusa movers for a free no-obligation moving quote, and compare us with the competitors. With a 100% satisfaction guarantee, you can rest assured knowing that you have chosen the best movers in the industry. Choose us as your Azusa movers team, and enjoy a hassle-free way of moving to your new home. Moving to Azusa? Here are some helpful resources. What is there NOT to like...professionalism, courtesy, consideration, politeness, punctuality, respectful...simply amazing!! From start to finish i had a great experience. I thought it was going to be stressful and it was not at all. The truck brought to my move was too small for one load. The crew leader immediately saw that situation and had me sign a waiver. I spent the next two days moving all of the items they could not fit on the truck. It was overwhelming. But I was fortunate. What if I had not allowed those two extra days to vacate my old home? What if my new home were 30 or forty miles away, instead of just 2.75 miles? The movers were professional, efficient, friendly and made our move absolutely stress free. They got so much done within four hours that my husband and I were amazed and grateful. They really do run when not caring items! Friendly, efficient, and nice!